I've got another Cult Nails polish for everyone today! A dark royal purple creme called Vicious. 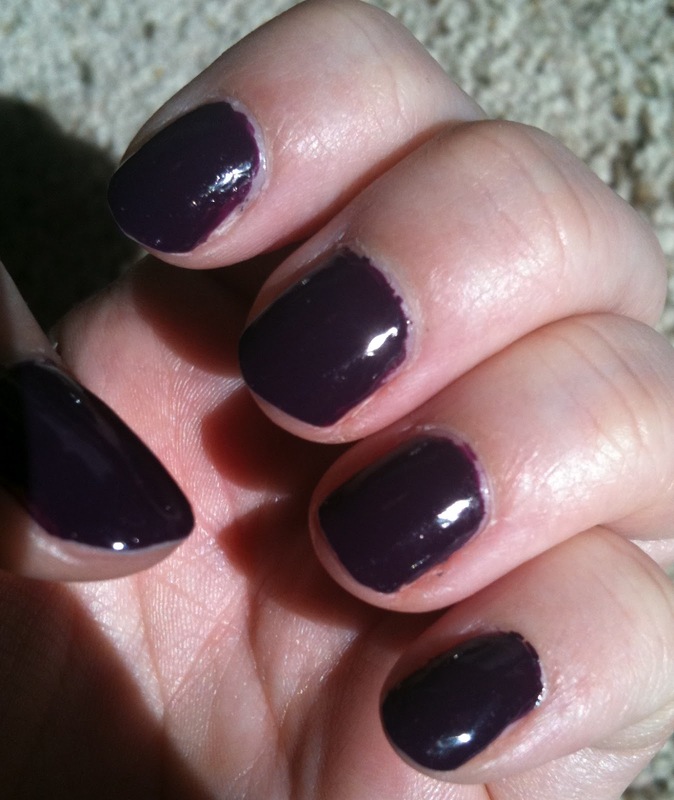 This is very dark and looks almost black in some lights but is distinctly purple in sunlight. I adore purples so I purchased this during the first $5 sale. This is probably the best of the Cult polishes I have in terms of wear time. It lasted a phenomenal 2 weeks with the Cult Nails top and Base coat (which are still my favourites as well). I rarely expect a full week out of my polishes so I was needless to say impressed. 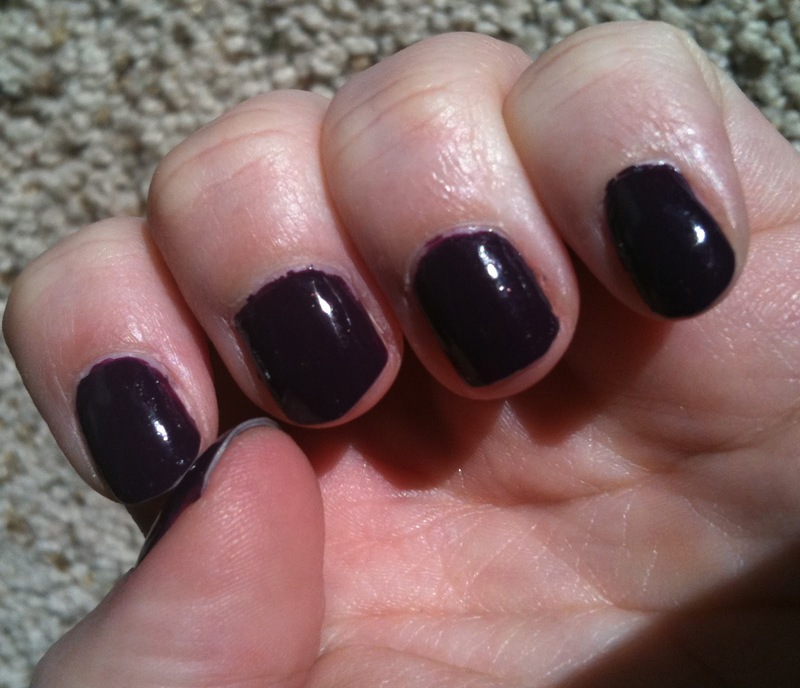 Above is shown with two coats of Vicious and Wicked Fast top coat, Get It On base coat. Overall another winner from Cult Nails! A tad too dark for me in some lights but an excellent polish formula wise and still a nice colour. 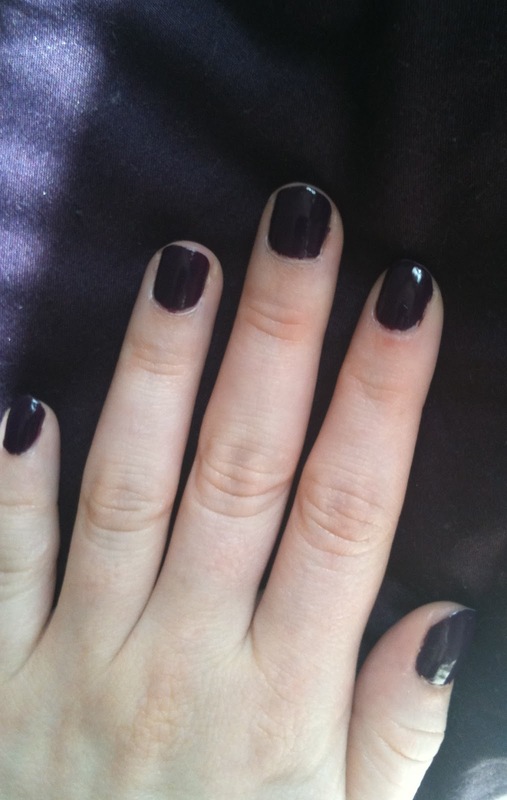 If you haven't tried out Cult Nails yet I'm not sure why you haven't. A $10 each these are some of the best polishes I've tried. Would I buy it again? Yes, I would. I figure a light coat of something else underneath would solve the dark issue and the formula is so phenomenal that if I managed to finish the bottle I'd purchase it more than once!